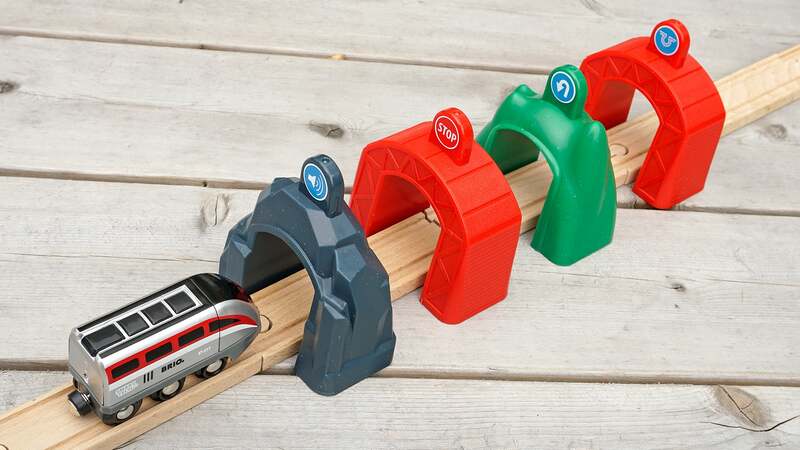 Brio’s magnetic wooden trains are as iconic a toy as Lego bricks or Hot Wheels cars. 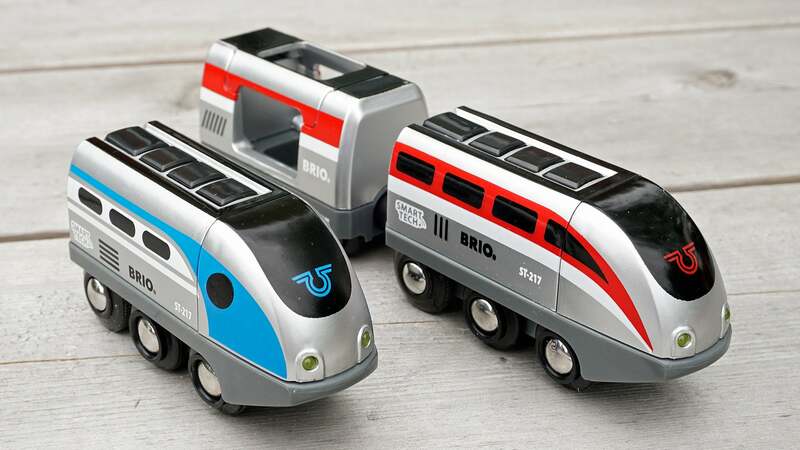 Traditionally kid-powered, a few years ago electric motors were introduced to the line, but this year Brio trains are being upgraded with smart features that allow them to interact with tracks and playsets. Don’t hit the panic alarm just yet, though; Brio’s SmartTech toys aren’t going to rob your kids of their imagination-driven adventures. If you frequented toy stores growing up, you probably remember playing with those kid-sized tables covered in elaborate layouts of wooden Brio tracks, bridges, cranes, and trains. Those playsets haven’t changed much since first being introduced back in 1958, and Brio’s continued focus on imaginative play is a hallmark of many toys that have similarly stood the test of time, but that’s not to say there isn’t room for a few upgrades here and there. The company’s latest innovation is a new feature called SmartTech that allows Brio’s electric-powered trains to interact and respond to structures, tracks, and other accessories—and without the need for a mobile device, apps to download, or annoying software upgrades. Childhood experts agree that limiting a child’s screen time is beneficial to their development, and Brio has found a way to implement smart, interactive features, without requiring parents to to put an expensive tablet or smartphone in their kid’s hands and hope it survives playtime. There are two main components to the Brio SmartTech system: a collection of playset accessories, and a series of new trains. 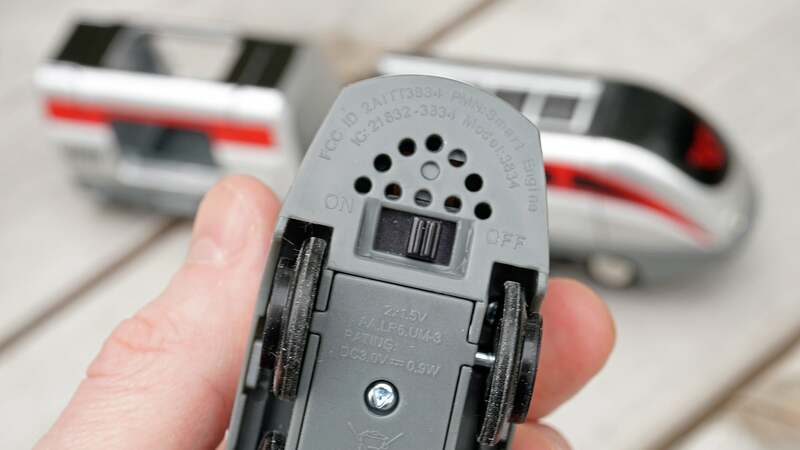 Powered by a pair of AA batteries, the trains feature built-in sound effects (horns, air brakes, station announcements, etc. ), blinking LED lights, and three buttons on the top that send the trains chugging forward, backwards, or brings them to a full stop. Each train’s smart features and sound effects can be easily switched off if parents need some peace and quiet. Even toddlers can quickly figure out how to get the trains running, but one feature I would have like to have seen carried over from other Brio electric trains is an additional switch that physically disengages the motor (instead of just turning it off) so the trains could also be pushed around and played with manually, without the internal mechanisms that drive the wheels getting damaged. 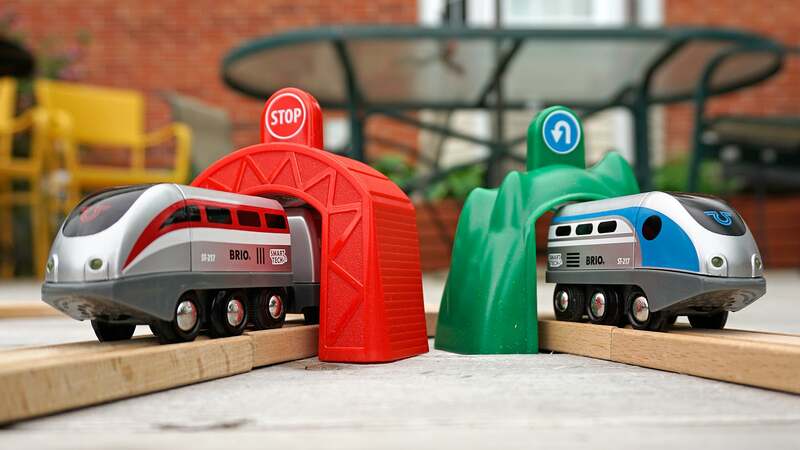 These simple interactive tunnels also work with older Brio wooden track pieces. Those buttons atop the Brio SmartTech trains aren’t the only way to control them, however. Each train has also been upgraded with an RFID reader that can detect the wireless chips hidden in the various accessories. The most basic of these is a collection of four different ‘Action Tunnels’ that can be placed over the tracks, triggering different behaviours as a train drives through them. These include pre-programmed actions like stopping shortly after leaving the tunnel, reversing direction, activating the train’s horn, or simulating the sounds and motions of the train pulling into a station and loading passengers. The tunnels themselves don’t require any batteries, and they don’t look like they’re packed with technology, so they blend in and work just fine with your kid’s existing Brio layouts. They’re also easier to use than the control buttons on each train. If your kid knows how to put obstacles in a train’s path (something most kids excel at), they can figure these out in no time. When the light is red, the train stops; when it goes green, the train automatically leaves the station. There are more elaborate SmartTech accessories available as well. This bridge, which serves as a place for passengers to load and unload, has a simple stop light that can be switched to red or green with the twist of a knob. When it’s red, the train will stop at the station and make sounds like commuters are bustling through its doors, and when switched back to green, the train heads off again. It’s a simple feature, but it works perfectly, right out of the box, without having to make any connections to a mobile app. It’s as kid-friendly as it could be. The Smart Washing Station is the most elaborate accessory in the SmartTech line. Most impressive is the Brio Smart Washing Station; essentially a tiny car wash for trains. When an engine is diverted into the structure, it automatically moves back and forth under each of the rollers and brushes as if it’s being scrubbed clean, complete with car wash sound effects. I think it best demonstrates the potential for Brio’s SmartTech line; kids are still in control of where the trains go, and how they build their miniature rail lines, with the smart features adding extra value to their hands-on play. They’re not just sitting back and watching while the toys do everything themselves. Brio has never been a cheap toy, but you don’t need to factor in the cost of a mobile device to use its new SmartTech toys. Brio’s wooden toys have always been pricier than their plastic alternatives, and the new SmartTech line is no different. A starter set, which includes a train, the pedestrian bridge, three Action Tunnels, and a handful of wooden track pieces, will set you back £90. But, unlike a lot of other ‘smart’ toys on the market, there’s nothing else needed to make it work. No computers, no mobile devices, not even an internet connection. It just works, right out of the box, encouraging kids to play with their hands and imaginations instead of just poking at a glowing screen for hours. Not cheap. A basic starter set is £45 for a smart train and a pair of Action Tunnels, and you’ll still need to add the wooden track pieces. No smartphones, tablets, or apps required. You don’t need to hand a £1,000 device to your kid and hope it survives playtime. Strikes a good balance between interactive features while still encouraging imaginative play. You can turn off the sounds and motors on each train, but you can’t switch them to a free-wheeling mode for manual play.